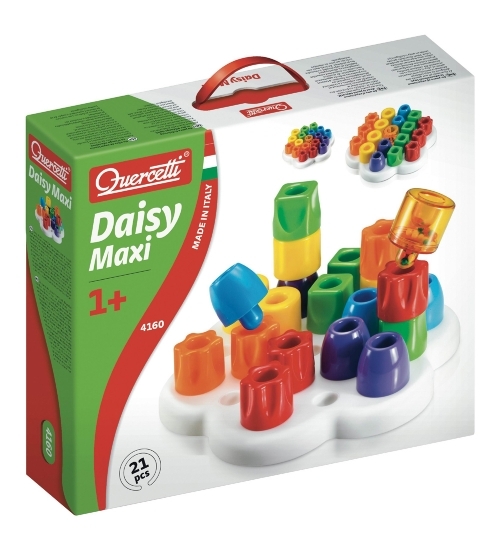 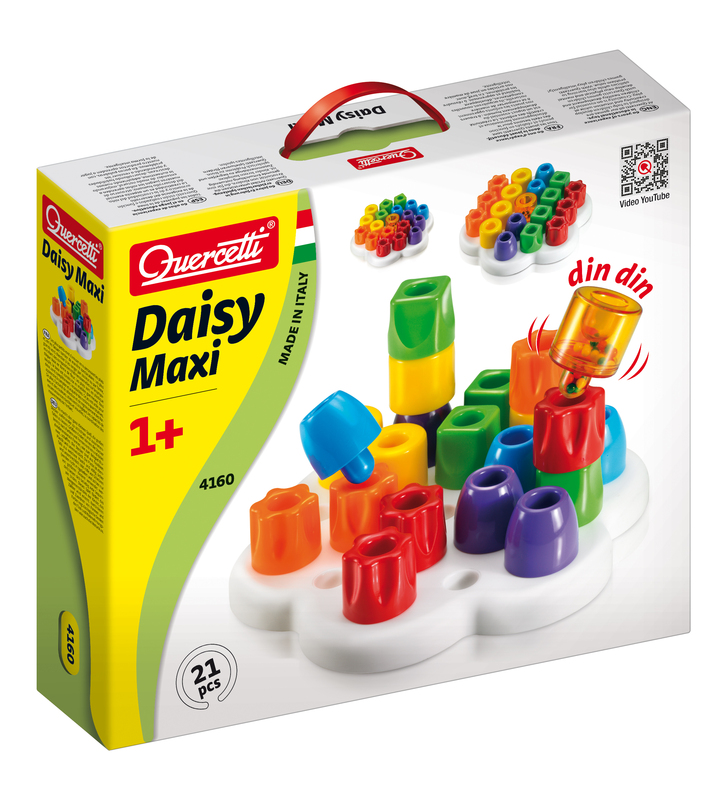 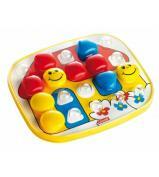 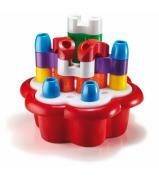 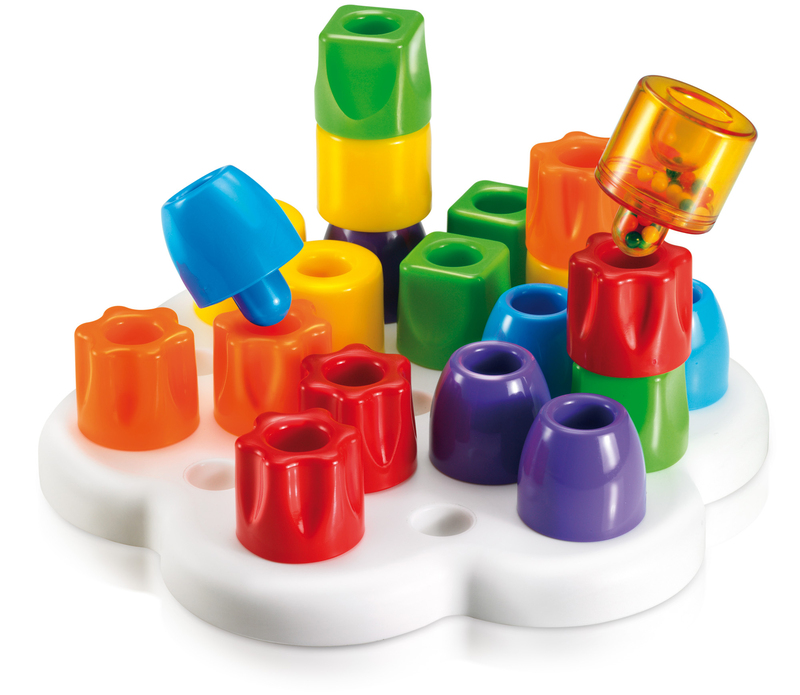 Daisy shaped Peg board in soft touch plastic with 12 chunky easy grip pegs in 4 colours and 4 shapes. 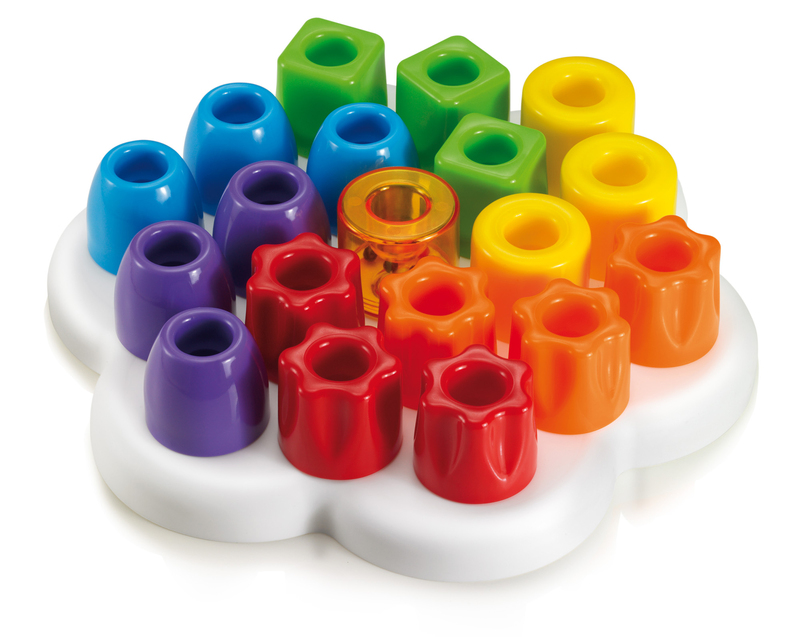 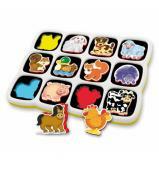 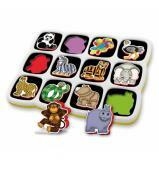 Great for shape and colour sorting and simple sequencing. 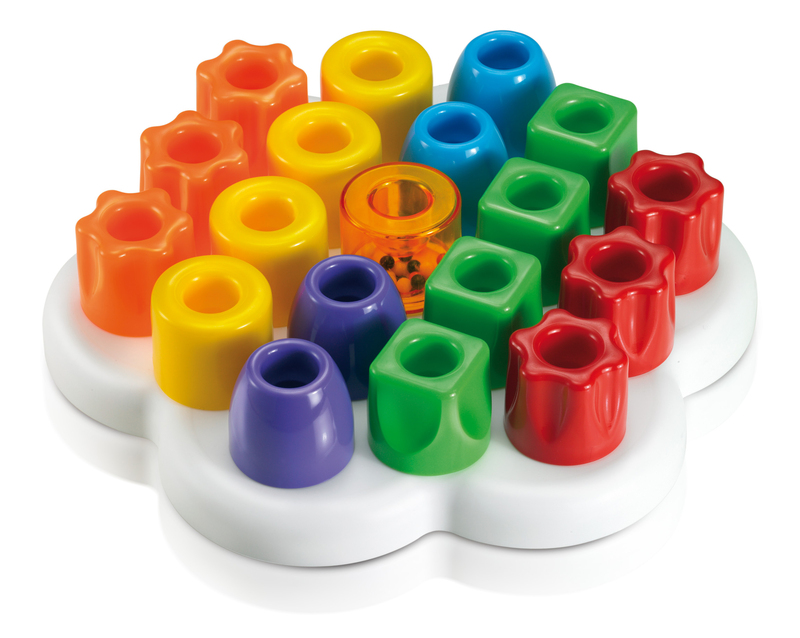 The different shapes and colours stimulate visual perception and hand-eye co-ordination while developing creativity and concentration. 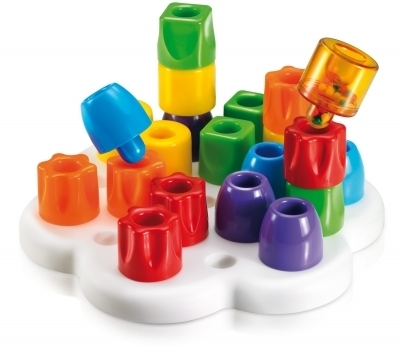 The different shapes and colours, together with the lovely rattle included, stimulate both visual and sound perception, hand-eye co-ordination while developing creativity and concentration.